BBH’s Global Regulatory and Market Strategists Carla Jane Findlay-Dons and Adrian Whelan recently travelled to Hong Kong and Beijing to discuss market hot topics with local clients and industry leaders. Adrian had the honour of delivering a keynote speech at the Asset Management Association of China’s International Business Committees Conference and they also managed to squeeze in a little fun. Here, in Part 3 of a 4-part series, he shares his personal China experience. Click here for Part 1 and Part 2. On day four of my trip, it was time for the Asset Management Association of China conference. My Chinese colleagues informed me that it would take about 40 minutes by taxi from our offices. They also suggested that the drive was a pretty straight line all the way down Chang’an Avenue. I anticipated the usual steady crawl through mid-morning city traffic, which would allow me a final review of my notes and to gather my thoughts for the presentation. How wrong I was. What followed was the most interesting ride I’ve ever experienced. I strained my neck to take in each of the places of interest as my colleagues pointed them out. From the magnificent China Media Group to Tiananmen Square, the Forbidden City to the National Centre for Performing Arts, each place was noteworthy for either its historical significance or as a feat of modern architectural genius. The scale, modernity, and creativity of the new buildings in Beijing really stood out – and reminded me of certain lessons for asset management. Unquestionably, scale and innovation are becoming increasingly important in the asset management industry. However, regulation, cost, and investor expectations have dramatically transformed the landscape. The fact is, if you are not the biggest, cheapest, or best known in the industry, there is still a place in the market for you. Like the immense structures along my taxi route, the amount of latent opportunity in Mainland China does not currently exist anywhere else in the world. The overall proportion of investment into mutual funds in China remains low relative to cash savings or even property, however, the green shoots of growth are evident and represent a significant opportunity for global asset managers. The size of the population, significant economic developments of recent years, and the evolving retirement needs of a wealthier and aging demographic means the long-term investment and saving needs of the general population are increasing. Another indicator of this maturing market is that the Chinese Government launched a pilot program offering tax deductions for certain pension endowment products with the aim of encouraging individuals to save for retirement. The emergence of a third pillar private pension system in China is further evidence of a trend towards increased focus on longer term planned investment goals. 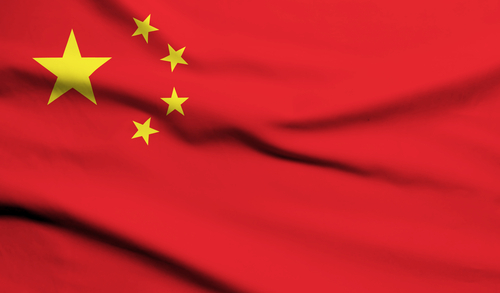 This convergence of economic policy, regulatory liberalization, and demographic factors is a perfect storm for foreign asset managers to enter the Chinese market. Whether it is setting up a wholly foreign-owned enterprise (WFOE), access to QDII & RQFII quotas, increased weightings of Chinese equities to key investment indices, or utilization of the Stock, Bond, or ETF Connect programs, there has never been as much market access available to non-Chinese firms. No other large markets of distribution are showing growth rates like China. As such, the Chinese economic “opening up” story is compelling for asset managers across the globe. But it’s important to consider market entry carefully. There are nuances, products, and methods of distribution that may have been successful elsewhere but will not directly equate to success factors in Greater China. Nonetheless, China will remain a market that cannot be ignored for any global asset manager looking for sustainable growth.